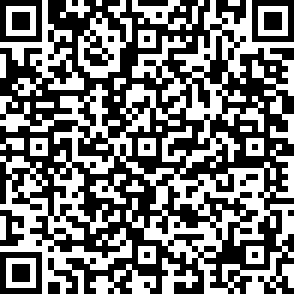 When a router performs the SPF calculation, which router is used as the root of the shortest path tree? The router with the least number of links. The router doing the calculation. The router with the lowest router ID. A router running a link-state protocol sends an update to a neighbor. The neighbor sends an update back. Why would the neighbor do this? The neighbor's link-state database has newer information than what it received in the update. The neighbor sends the update as an acknowledgement. The neighbor's update indicates that it has run out of space in its LSDB. the 192.168.3.0/24 route in router R3's route table? The route policy should be applied as an import policy. 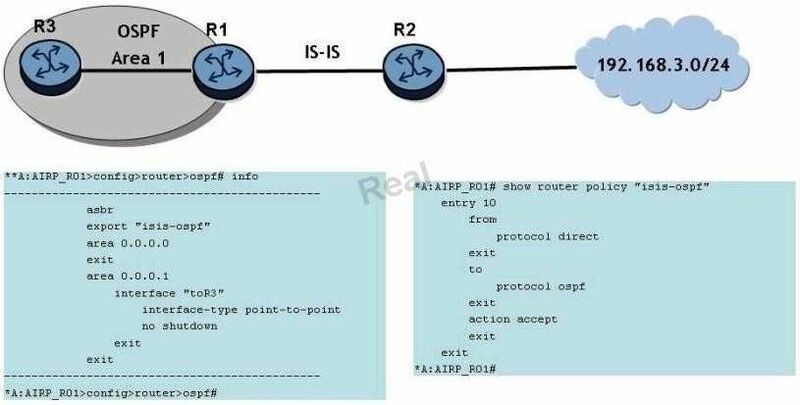 The interface between routers R1 and R3 must be in OSPF area 0. The route policy should say "from protocol isis" instead of "from protocol direct". The ASBR configuration should be removed. The router is correctly configured. The interface metric must be manually configured to 100. A reference-bandwidth is not configured on the router. A reference-bandwidth is configured on the router but wide-metrics is not. Which of the following concerning OSPFv3 is TRUE? OSPFv3 uses a 64-bit router ID. Router LSAs carry IPv6 prefix information. NSSA is supported in OSPFv3. Which field of an IPv6 header indicates an upper layer protocol carried in the packet? What is the primary purpose of variable length subnet masks (VLSM)? To reduce the size of each routing update. To reduce the size of the routing table. To allow interoperability between routing protocols. To allow different subnet masks for different subnets. Which of the following correctly describes an IPV6 header compared to an IPv4 header? The IPv6 header has a header checksum field, header length field and no fragmentation offset field. The IPv6 header has no header checksum field, no header length field and no fragmentation offset field. The IPv6 header has a header checksum field, no header length field and no fragmentation offset field. The OSPF adjacency between routers R1 and R3 does not come up. Which of the following is a possible solution to the problem? Stub must be configured on Area 1 of router R1, and removed from Area 1 on router R3. 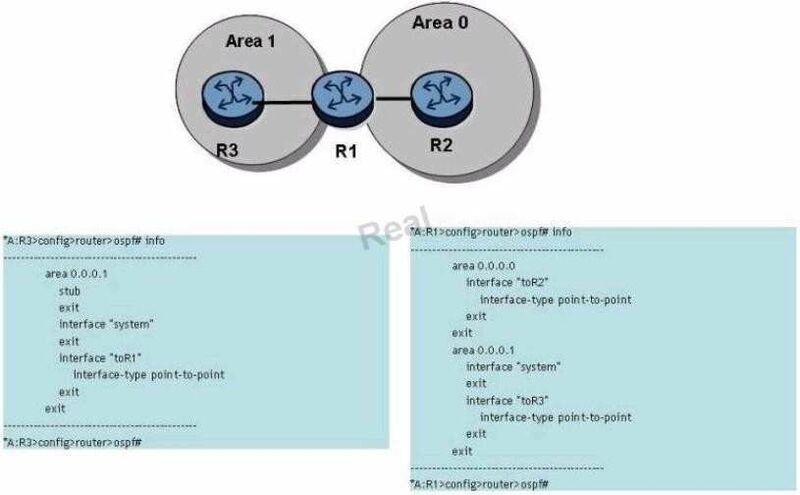 Area 1 of router R3 should be Area 0, in order to connect via stub to router R1. Stub must be configured on Area 1 of router R1 and Area 1 of router R3. Stub must be configured on Area 0 of router R1 and Area 1 of router R3. 192.168.3.0/24. Assume that all IS-IS routers are L1/L2 capable and are in the same area. Router R3 will install the OSPF route in its routing table. 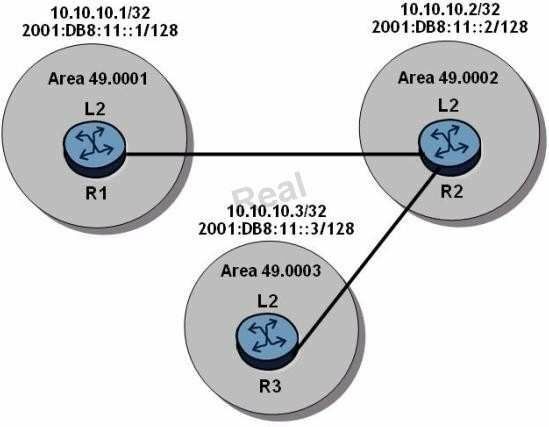 Router R3 will install an OSPF route and an IS-IS route in its routing table. After IPv6 has been configured, which of the following is TRUE? Which of the following is NOT a characteristic of a floating static route? The primary and backup routes are to the same destination. The next-hop of the primary and backup routes are different. The primary and backup routes appear in the routing table. The backup route is configured with a higher preference value. Given the output shown, which router is the ASBR in this network? There is no ASBR configured in the network. adjacency. Which statement is correct? The area ID does not have to match. The area ID, the E bit value, the Hello interval and network mask must all match. The value of the network mask does not have to match. The value of the E bit in the options field does not have to match. The value of the Hello interval does not have to match. Which of the following is a difference between IS-IS and OSPF? IS-IS supports VLSM and CIDR. IS-IS uses periodic Hello messages. Router R2 has two IS-IS-adjacencies and two LSPs. Router R2 has four IS-IS-adjacencies and six LSPs. Router R2 has two IS-IS-adjacencies and four LSPs. Router R2 has two IS-IS-adjacencies and three LSPs. Which of the following is not included in a Router LSA? What triggers convergence of the routing protocol when the link between switch 1 and switch 2 goes down? Convergence is triggered when the switches notify the routers about the link-state info. Convergence is triggered when the physical interfaces between routers R1 and R2 go down. Convergence will not be triggered because switches cannot run routing protocols between them. The route learned from IS-IS will be installed. The route learned from OSPF will be installed. Both routes will be installed.